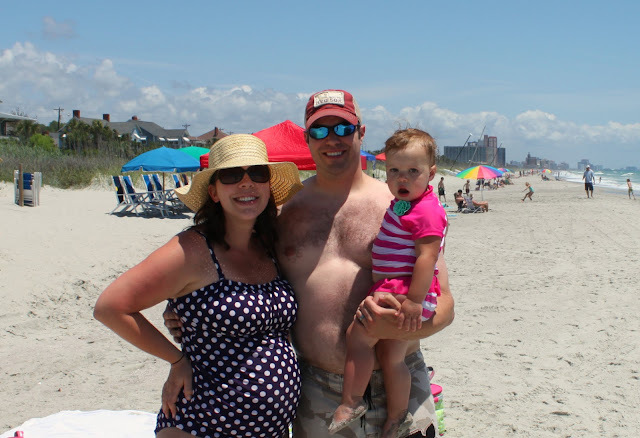 Yesterday we had a very impromptu trip to the beach...and it was so fun! We haven't really been to the beach since we moved to the new condo. One day Karis and I stopped by for a few minutes after we had lunch with some friends, and we went the other day for our pictures. But, neither of those times were to stay and play. This trip was all about that. Just about every week John works 6 days...unless we are going out of town. His one day off is Sunday and those are taken up with church, then lunch, then it's time to get Karis down for a nap. So this was a fun and special trip. There was lots of digging in the sand and playing. And I do love that we get to live here. Then, of course, we spent lots of time down by the water. Can you tell that this girl loves her Daddy?!? 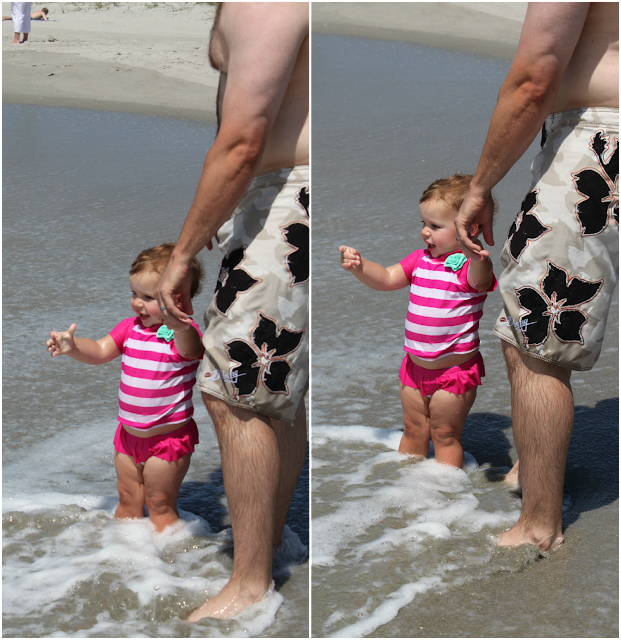 This is when John asked Karis about a wave...so she proceeded to wave to the waves. This, my friends, is just one reason why English is such a complicated language. I've heard from people who have had to learn English as a second (third or fourth) language, that it is extremely difficult. Well, I'm starting to understand that on a whole new level as I am teaching my little one the language myself. It can be very confusing. and letting the waves fill up the hole. Of course, plenty of love and kisses for Daddy. and even just sitting and playing in the sand. And finally, proof that we were all there together. Mama came out from behind the lens for just a minute. So, there are some pics from our first official 'beach day.' I have a feeling there will be a ton more this summer.